Responsive Landing Page Designing Services in Delhi ! 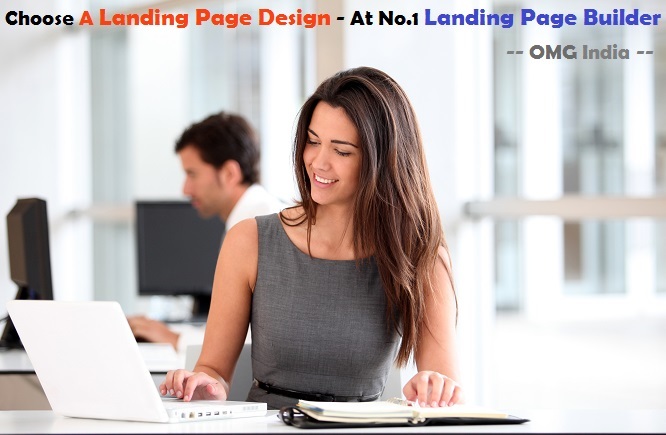 OMG India is the best Landing Page Builder in 2017 - Delhi India, breadwinner of dedicated Landing Page Designing Services at reliable, reasonable and even-handed price. We are the largest Landing Page Designer platform however; it's not an enough big reason that you should use OMG India. We make secured, budget-effective & SEO friendly Landing page websites as well as also includes the features like - Fast Loading Speed, Good Coding Standard, Navigation, Image Optimization, Social Media Incorporation and User responsive Experience. Landing page is being used in fast mode and one of the main reason is it has become significant portion of Lead Generation Campaign. If you still feel inflexible to use. Talk to our experts and they will guide you through all the way you need. It needs Just a one day setting up, and landing page is ready for use. There are inbuilt facilities for Lead Generation, Form Submission, complete information about product & services, one stop solution for campaign and much more. Why Landing Page Design Solution ? Landing page is being used in fast mode and one of the main reason is it has become significant portion of Lead Generation Campaign. We make secured, budget-effective & SEO friendly Landing page websites as well as also includes the features like - Fast Loading Speed, Good Coding Standard, Navigation, Image Optimization, Social Media Incorporation and User responsive Experience. OMG India is the best Landing Page Builder in 2017 - Delhi India, breadwinner of dedicated Landing Page Designing Services at reliable, reasonable and even-handed price. We are the largest Landing Page Designer platform however; it's not an enough big reason that you should use OMG India. We make secured, budget-effective & SEO friendly Landing page websites as well as also includes the features like - Fast Loading Speed, Good Coding Standard, Navigation, Image Optimization, Social Media Incorporation and User responsive Experience.